One of the main prohibiting factors from more people being able to buy homes is the issue of the down payment. Yes, even if a consumer has a terrific credit score, a good job that would provide the income necessary to make monthly mortgage payments and the desire to be a homeowner, there’s that all-important issue of the down payment. 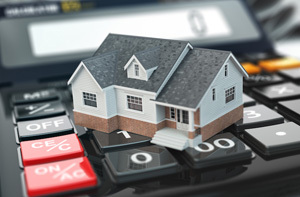 Putting 20 percent down, as is the case with a conventional mortgage, isn’t feasible for many buyers – and even low down payment options, such as the 3.5 percent that’s the minimum requirement with FHA loans, can be a stretch for cash-strapped consumers. The good news is that more and more lenders are taking note of these challenges that many consumers face, especially when trying to acquire property in expensive housing areas such as San Francisco, for instance. This post is designed to take a look at some of these zero-down and minimal down payment options that are now available. Perhaps the most common zero-down mortgage is none other than the VA loan. However, the big difference between this type of home loan and others on this list is that in order to qualify for it, you have to either be a veteran or an active-duty service member. VA loan qualifiers will, however, have to pay a funding fee, usually of anywhere from 1.5 to 3.3 percent, which can be rolled into the loan itself. Another popular zero-down military loan is that of which is offered by Navy Federal. However, unlike VA loans, Navy Federal’s funding fee is lower at a constant 1.75 percent. USDA Rural Development Mortgage: As the name implies, the zero-down loan is applicable to buyers that are purchasing qualified properties. But unlike what many may think, these areas that qualify aren’t all considered textbook “rural.” In lieu of a down payment, USDA Rural Development loans require an upfront 2 percent loan guarantee fee and a 0.5 percent annual fee that’s based on the current loan balance. Both can be rolled into the mortgage. One other thing to note about this loan, however, is that it is very popular and funds dedicated to it are known to be depleted well before the end of the year. San Francisco Federal Credit Union POPPYLOAN: Announced in December of 2015, this geographically-specific offering from the San Francisco Federal Credit Union offers zero-down financing on home loans up to $2 million as a means of helping qualified buyers navigate the expensive Bay Area real estate market. In order the qualify for these POPPYLOANs, San Francisco-area buyers must be at least 18 year old and be purchasing a single-family home or condo, or a multi-family home that is intended to serve as their primary residence. BBVA Compass: In February of 2015, BBVA Compass launched its HOME zero-down loan option. HOME, which stands for “home ownership made easier,” is offered only on properties that are in low- to medium-income areas, per Census designation. The HOME loans will also help buyers cover up to $4,500 of their closing costs. NASA Federal Credit Union: NASA Federal Credit Union also offers a zero-down, fixed-rate mortgage that doesn’t require the purchase of private mortgage insurance. It’s available to qualified buyers on either a new home purchase or a refinance on mortgages up to $650,000. Guaranteed Rate: As of July 2016, Guaranteed Rate offers loans with 1 percent down payments to nationwide consumers. The specific mortgage program is known as “Double Match,” and in order to qualify for the program, buyers need to have at least a 680 FICO score and be purchasing a home that is $417,000 or less. Quicken Loans: In late 2015, Quicken Loans debuted a 1 percent down payment mortgage of its own for consumers buying homes (no refinances). To qualify, consumers must hold a credit score of at least 680 and have a debt-to-income ratio of 45 percent or less. United Wholesale Mortgage: Around the same time that Guaranteed Rate introduced its Double Match 1 percent down mortgage, United Wholesale Mortgage came out with a low down payment option of its own. Dubbed an alternative to the 3 percent low down payment mortgages that are becoming increasingly popular, the buyer is only on the hook for a 1 percent down payment, while the lender will pay 2 percent, thereby giving buyers 3 percent equity come closing. To qualify, consumers must have at least a 700 FICO score and a debt-to-income ratio of no greater than 43 percent.